Surrounded by a lush garden and only 70 meters to the sandy beach is located the residence 116m², which is fully furnished and equipped with all appliances. 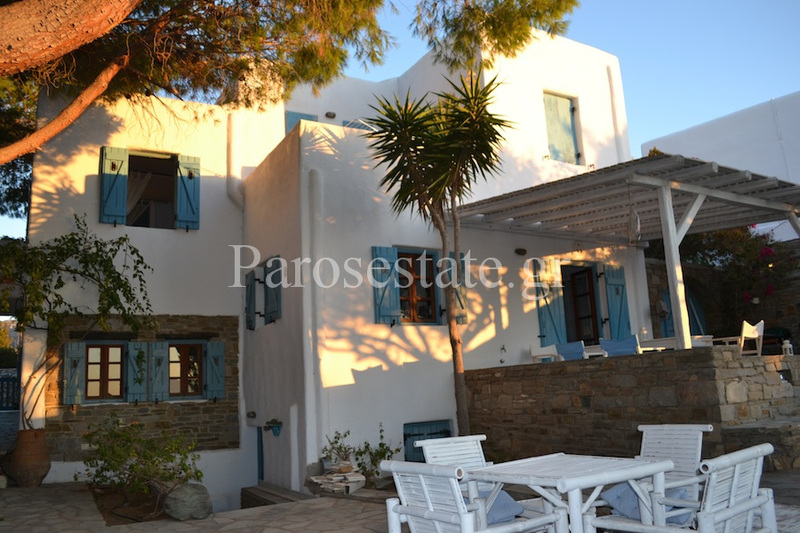 In the southwestern part of Paros, on a small hill with panoramic view to the small port of Aliki and to the neighbouring Antiparos, unique stone villa Olive 150m². The Aegean architecture combined with the minimal interior decoration and all the modern comforts, reflects a culture dedicated to the search for tranquility and relaxation. The stunning stone villa Mandarin 141m², located in the southwestern part of Paros, offers a wonderful view of the picturesque small port of Aliki, the sea and Antiparos. Magnificent areas, idyllic scenery, comfort and serenity are some of its main features. In a quiet area of village ​​Drios is located the house 120m², which can accommodate up to 4-5 people. The stone minimal house 200m² consists of 3 levels and has wonderful views at the sea and Naxos. An enclosed courtyard with a large tree in the center, welcomes the visitors in the house and offers a rich shade throughout the day.